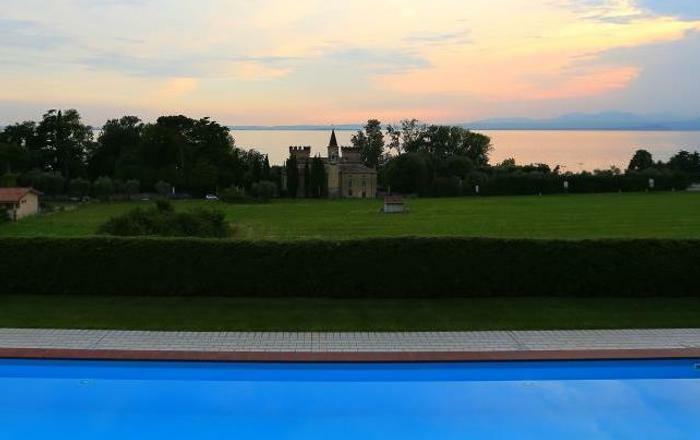 Villa San Lorenzo is located just 6km from Borgo San Lorenzo, in a quiet area, surrounded by nature. 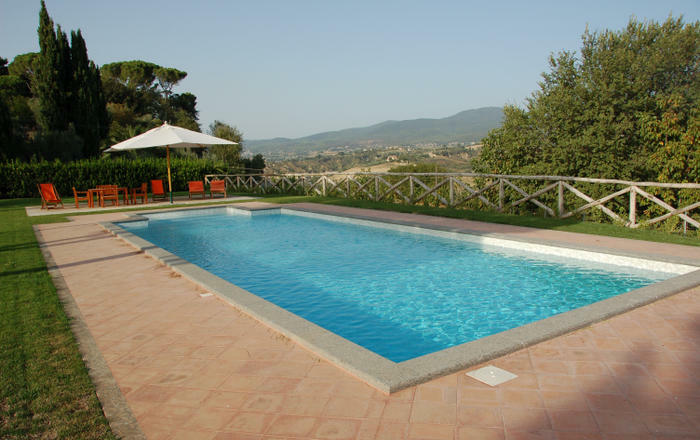 Within easy driving distance, we have Florence and the famous Mugello Circuit. 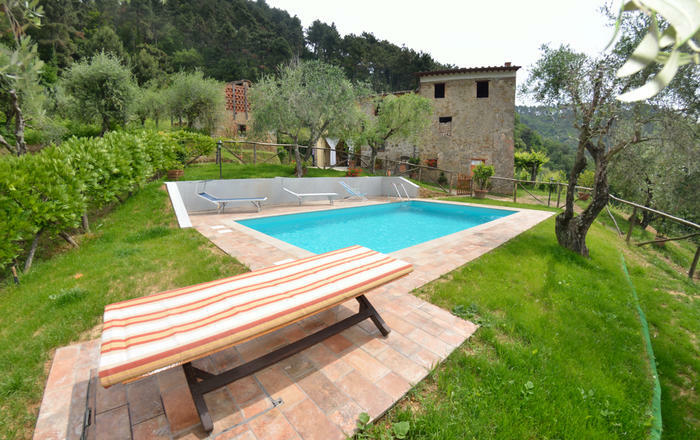 With beautiful views over the countryside, this is the perfect place for a holiday from where you can discover Tuscany and enjoy nature. 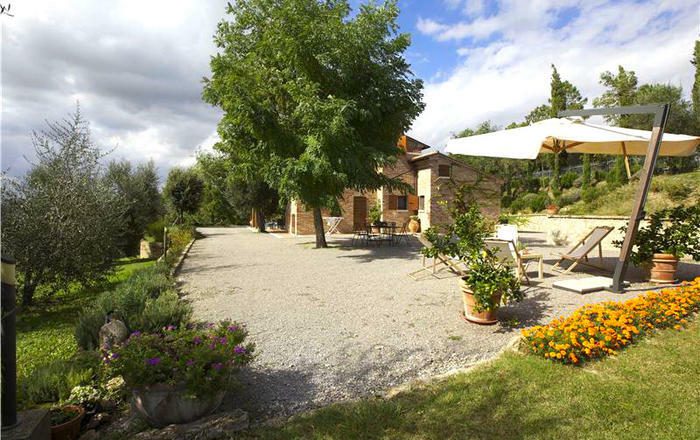 The villa develops on two levels decorated in a typical Tuscan style, with wooden beams and terracotta tiles. 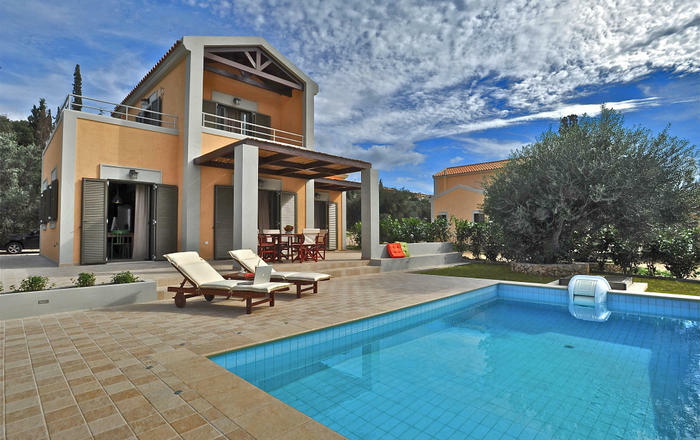 On the ground floor we have a living area with dining table and chairs, a large and modernised kitchen (with oven, freezer and dishwasher), one double bedroom and one double/twin bedroom, both with en-suite bathrooms with shower, laundry room with washing machine, and a sauna area. On the first floor, we find a living area with table and chairs, large open fireplace and kitchen. There are two double bedrooms with en-suite bathroom with shower, one double/twin bedroom with en-suite bathroom with bath tub, two double/twin bedrooms that share a bathroom with bath tub. Four additional beds can be added on request. Four single beds can be added on request in the bedrooms. 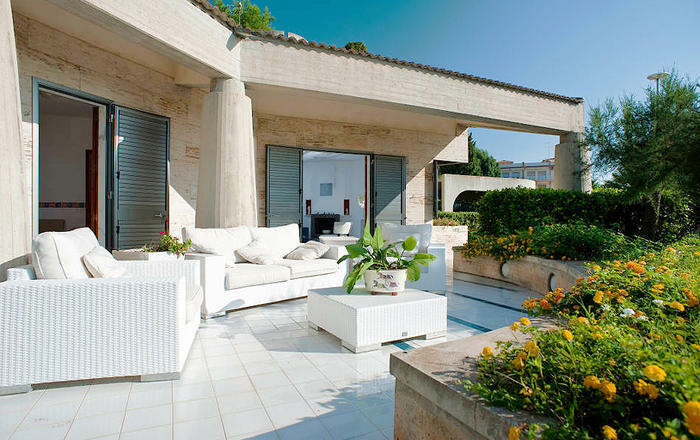 Outside, the house is surrounded by a wonderful garden with trees, Mediterranean vegetation and a well-tended lawn. 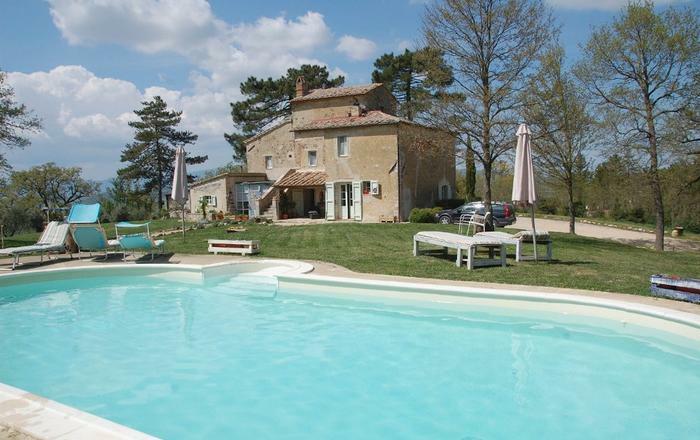 There is a private swimming pool (12x6m) with sun lounges; nearby, there is a heated open air whirlpool. A covered gazebo with wooden table and chairs provides the perfect area for al-fresco dining while enjoying the beautiful surrounding views. 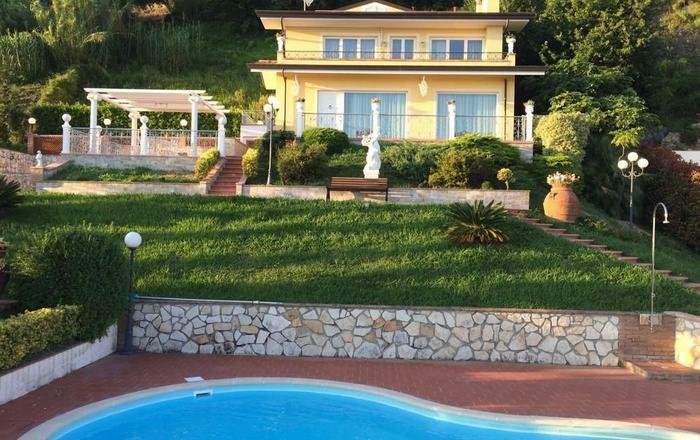 Facilities: Wi-Fi Internet, satellite TV, washing machine, dishwasher, kettle, toaster, microwave oven, fireplace, barbecue, 2 baby cots and 2 high chairs on request (free of charge), sauna, heated whirlpool, parking. Pets allowed on request. Nearest towns: Borgo San Lorenzo 6km, Florence 35km, Mugello Circuit 4km, Bologna 65km, Lucca 110km, Arezzo 113km, Siena 116km, Pisa 125km. PETS ON REQUEST €50 PER WEEK, COT ON REQUEST €30 PER WEEK, TOURIST TAX.